Back when I was a high school student in Hungary in the late 1970s, someone gave me a poster of the yet-to-be-tested American space vehicle, the Space Shuttle. This picture stayed on my wall, right above my desk, for many years. Every time I looked at it, I couldn’t help but feel amazed: a space plane the size of a passenger aircraft, flying to orbit and back like there was nothing to it. Now that’s the American space program! That, of course, was before Challenger, Columbia, and before today. 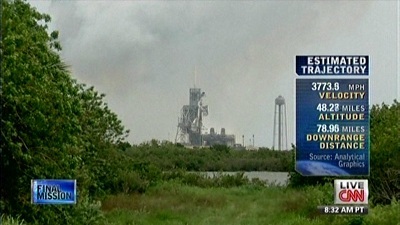 Sadly, today the picture that best symbolizes the American space program is not an image of the Shuttle soaring to the sky, but one of an empty launch pad.